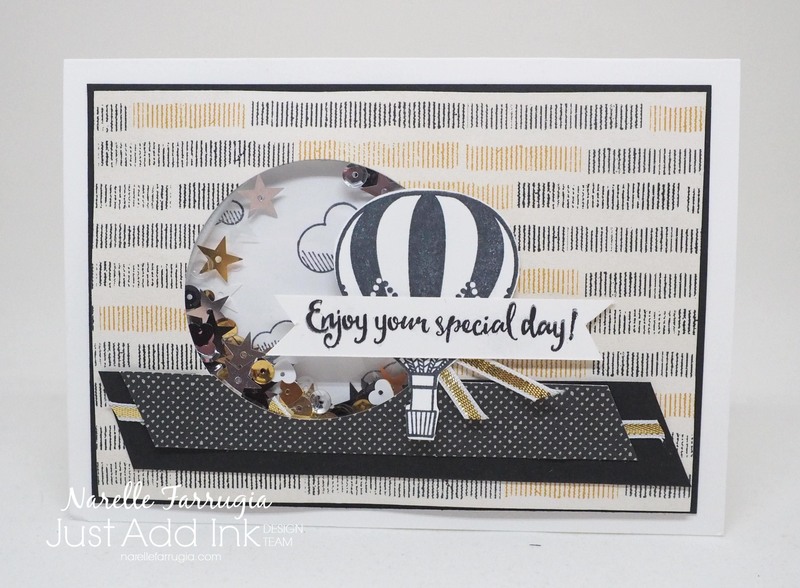 I love Wednesdays as it means a new sketch to showcase Stampin’ Up! goodies that have taken my fancy for my card! 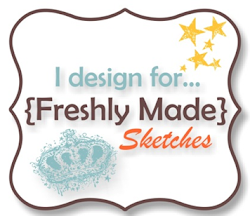 This weeks sketch at Freshly Made Sketches has been designed by the uber talented Cecile Ribon. She’s also super talented at sketch designing! 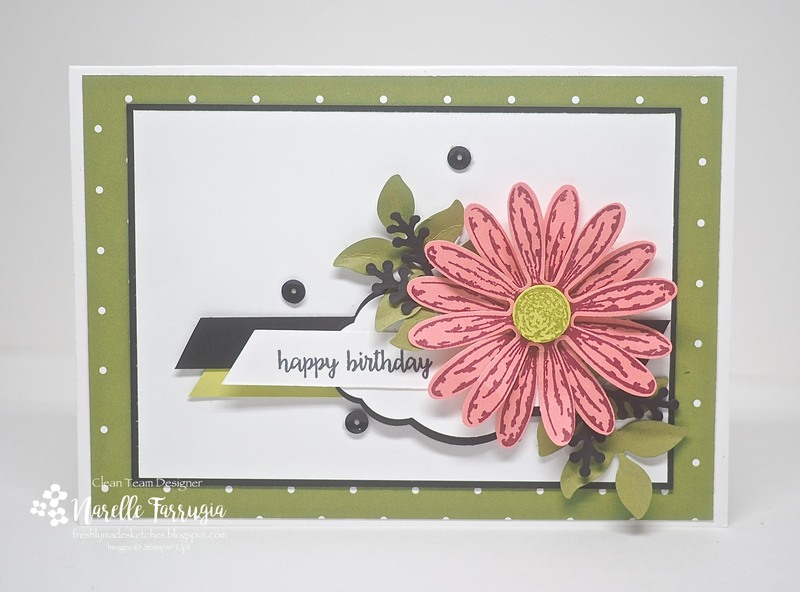 The daisy I have used is from Stampin’ Up!s Daisy Delight which is totally fun to colour. 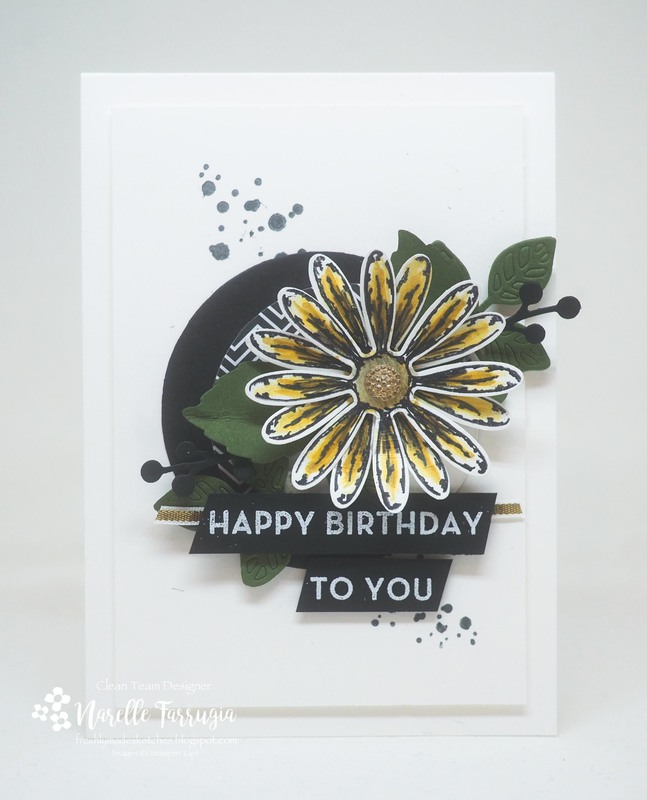 I stamped the outline in Black Archival Ink and then water coloured with a bit of Hello Honey Ink and then added a bit of black with my black watercolour pencil to add definition to the flower. I then stamped some ink splatters in the backgroundfrom Swirly Bird in Basic Black Ink. 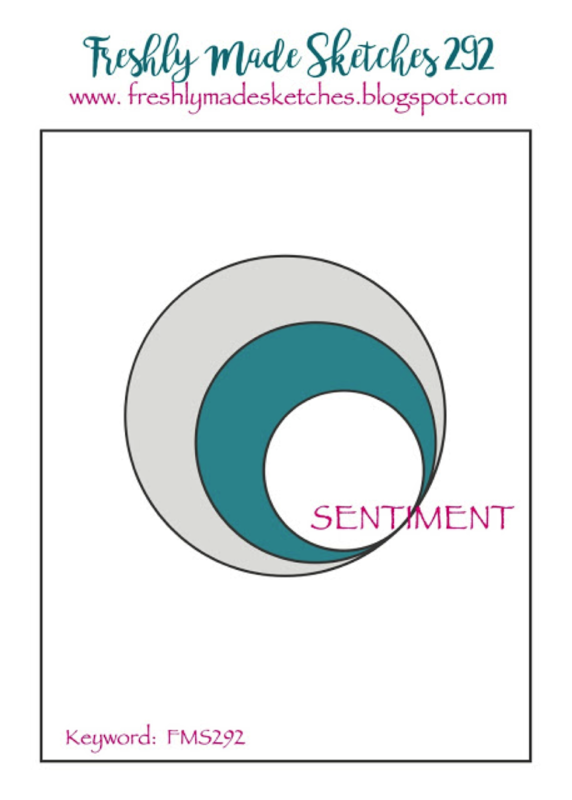 The leaves are cut with dies from Flourish Thinlits and my sentiment is from Big on Birthdays. 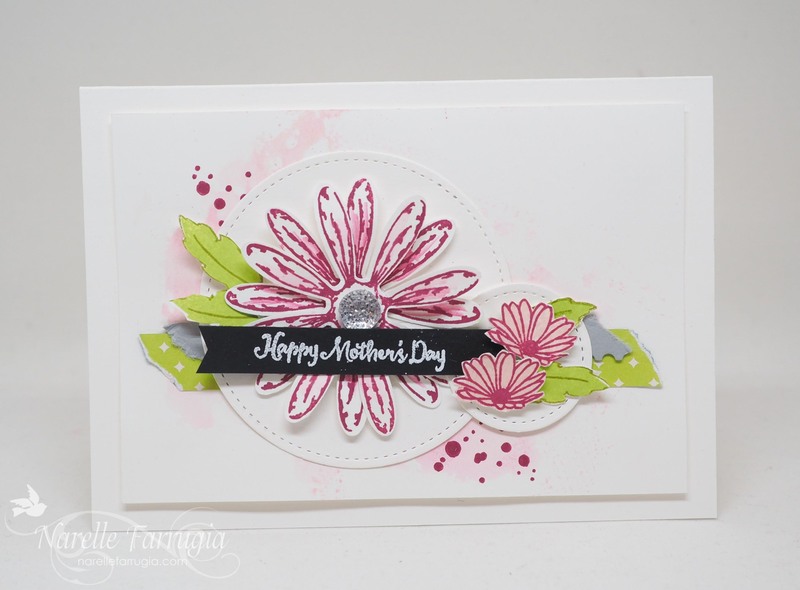 I embossed my sentiment with white embossing powder – a look I love for sentiments. My circles are cut with circle dies and the smidge of DSP you can see is from Pop of Pink Specialty DSP – which is now retired. The design team at Freshly Made Sketches have created gorgeous cards to inspire you. Head over to the challenge and take a look. 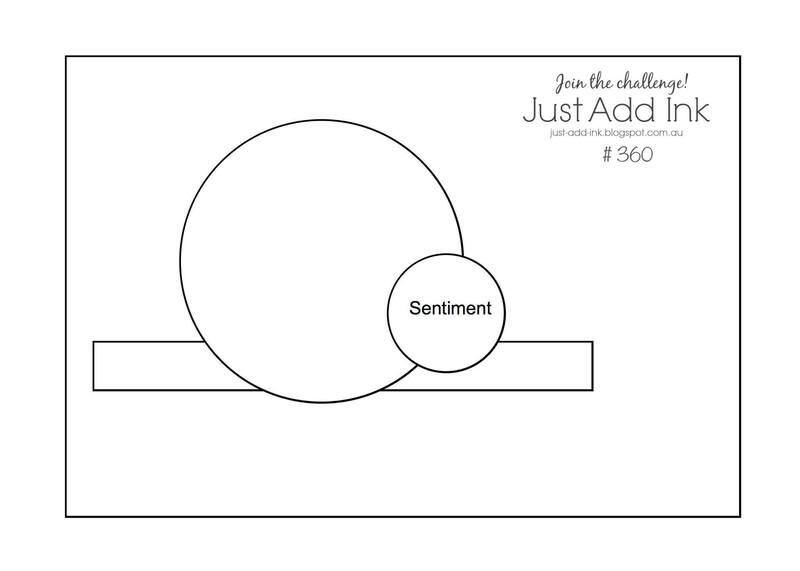 We would love it if you could play along with this challenge.